And quite often, a non circus act is booked, to contrast with the main circus theme. 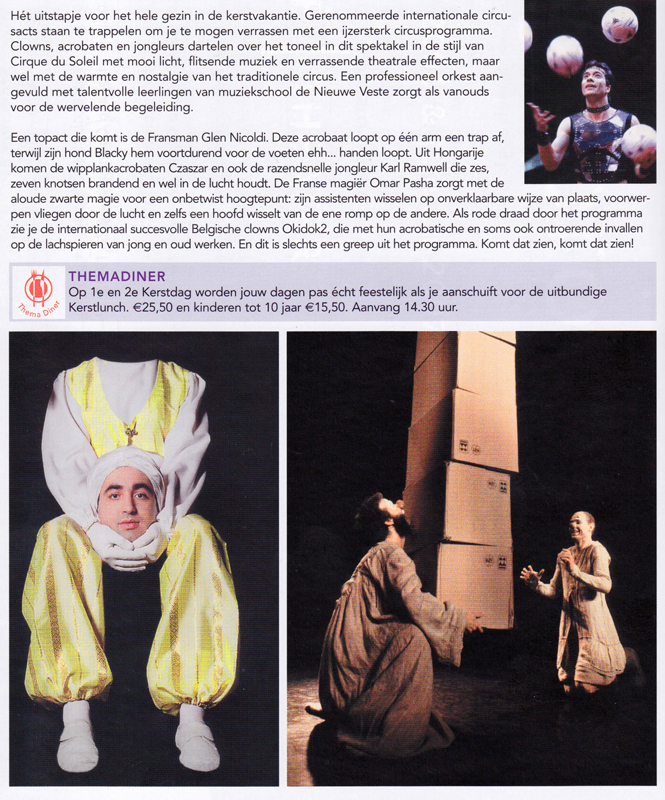 Omar Pasha appears in such a show at the Chassé Theater in Breda. It is a very nice experience. The circus acts are of a high international level and the magic of Omar Pasha adds a very different atmosphere to the event. After Utrecht in 2002, it is the second show of this style we do in the Netherlands.